So here it is, the official ESK8 Sweden T-shirt. Available for SEK 390:- plus shipping. Sizes are S to absurdly huge (5XL). And you will get our official sticker as well. Send an email to info@esk8.se if you want to order a tishie. Sweet. Thanks. ESK8 Sweden now has a buy-and-sell group on Facebook, where people can (guess what) buy and sell stuff! Here it is: https://www.facebook.com/groups/255866154985011/ Happy buying and selling! Teamgee H6: The most gorgeous electric longboard ever? Boosted Board Mini: Isn’t she ugly? The sun was shining and so was the people coming to E-skate Kompaniet‘s grand opening. Stockholm’s first dedicated esk8-shop! Good luck guys! Saturday April 7th, the brand new esk8-shop “E-skate Kompaniet” opens at Vanadisvägen 30, Stockholm. Selling accessories and clothing as well as electric skateboards, the grand opening Saturday seems an esk8 event not to be missed. 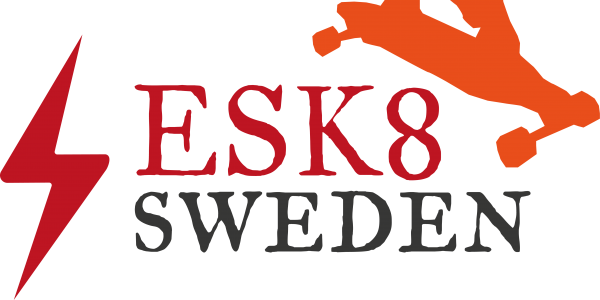 ESK8 SWEDEN will certainly be there. The shop is already selling boards online; bamboo, one wheel, and GT. The international ESK8 community is now joined by Denmark, as esk8.dk is up and running: https://esk8.dk Great news and good luck to Søren Schrøder, who is making this fine Danish effort. Kamelåså, Søren!